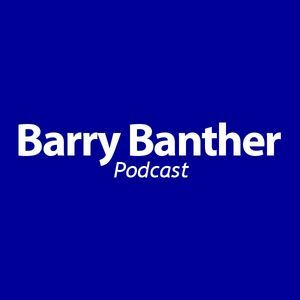 A podcast by Barry Banther CMC, CSP ; on the topics of leadership, communication, and motivation. Barry Banther is the president of Banther Consulting Corporation in Tampa Bay, FL. Visit www.barrybantherpodcast.com for more details. When an employee fails - who's to blame? Is is fault or responsibility when one of your teammembers fails? New Year - New Podcast! What Are The Hot Training Topics? How Long Does It Take To Become A Leader? Leaders Are Not In A Hurry! Five Things You Can't See On E-Mail!